We are going to go over some ideas about the pros of mobile websites vs mobile apps and the cons of each! Through this maybe you’ll have a better understanding of what you’d like to work on first, but don’t count out the other just yet. Mobile websites are fun and easy to make and work with for your general public. If you are working on a mobile website design you want to keep it simple but different. You want it to be simple because the faster your mobile website loads the more likely your clients will return. On the same token, the more your website stands out from the others, the more your clients will visit. Everything about your mobile website should scream convenience. The more your mobile website stands out to your public the better off you’ll be as the owner or manager of that company. Mobile websites aren’t expensive to host and when you convert website to mobile website you’re broadening your ability to advertise to the multitude! If you want a fast and cost effective way to create a mobile website take a look at DudaMobile. Mobile apps are an amazing invention. With a mobile app your clients and customers aren’t required to go onto their browser, search you, and wait for your page to load. A mobile app can be created, downloaded once, and set to your phone as an icon for future use. This adds a lot of additional convenience for your customers because they don’t have to keep going to the website itself. On your mobile app you can add all of the same things you’d add to your mobile website and update it more regularly. With a mobile app you have the ability to consistently change the information, update events, and set up memberships. You’re going to be able to update everyone on the things that you have going on without having them go to your mobile website. One of the best things about mobile apps is their ability to send ‘push’ notifications which means when you change something within your mobile app your followers are automatically updated. It’s that easy! Having a regular website is fantastic and allows you to have many people log onto your website from their computer, having a mobile friendly website will allow your clients to log onto your website from their cell phones, and having a mobile app allows your clients to keep track of everything going on with you and your store or business without the hassle of logging into a website itself. Going mobile is the big idea!! Mobile website vs mobile app is really not the big deal. If you choose to do both, you can by way of outsourcing. When you outsource through companies like oDesk and eLance you have the power to set the budget, the time limit, and all other qualifications. You won’t have to choose between mobile website vs mobile app; you’ll simply do both! This way you will have your entire targeted public situated with the type of advertising they can personally keep track of! If you’ve never been on oDesk or eLance you should sign up for free today. By signing up you’ll have the ability to search thousands of profiles and find the exact person to help you with your big project! Mobile website vs mobile app is no longer the question, which to do first should be! Go today and get started and find out how being mobile will help you and your business! Do you have a Small Business Marketing Plan that includes Mobile? There are a large number of Mobile Marketing Firms in Canada, however before you decide on a mobile marketing strategy, Sign up for our Free Marketing Training Course. There is very little doubt that mobile phone marketing is the new future of marketing. As a small business owner in Canada, you must start to learn more about how these new mobile marketing solutions will help your organization. If you own a small business in Canada , take advantage of our FREE MOBILE MARKETING TRAINING VIDEOS by Signing up Below! Mobile sites and Mobile Apps are the same thing except for you can download the app straight to your phone so you do not have to worry about typing in the address to the mobile site every time you would like to view it. So wouldn’t Mobile apps be more reasonable. 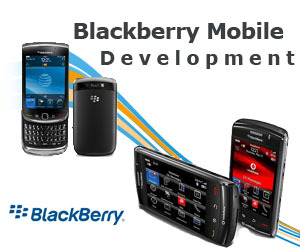 There are a lot of advantages and disadvantages to consider when looking at mobile website and mobile apps. I just sent you an email follow with a few links that go into allot more specific differences. Thanks for your comment!